Therapeutic Service - Troubled Teens - What is important to look for? Every person on the RESTORE TEAM pays special attention to the "therapeutic services" offered by schols and programs. We will not represent and recommend a school or program unless they have stellar therapeutic services; from academics to athletics, everything must be designed to be "therapeutic" in practice and purpose. All of what schools and programs offer, especially in regard to the therapeutic process, is scrutinized by the Family Advocates of RESTORE. We look for programs that delivere therapy in a safe environment (safe, secure and supportive). Troubled kids looking for restoration are on a journey of emotional self-discovery, attempting to learn about themselves and others. Therefore, therapeutic services delivered by professionals we recommend will can be trusted. When looking at programs to recommend to parents we look for staff that have licensed therapists. These professionals must be licensed with the State they operate in. Licensed therapists are required to meet continuing education and training requirements to maintain their licenses and level of expertise. The therapists at we look for typically perform individual, family, and group sessions designed for adolescents and families. Moreover, these therapists should also be the family representative, willing and able facilitate parent visits, and participate in family restoration phone calls. They also need to be involved with the student's academic program. Certified Teachers - Why Is This Important? In addition to the licensed therapists, we look for schools and programs that employ certified teachers and certified school counselors for their academic programs. We represent schools and programs that tout "credit recovery" and "grade repair". We also represent schools that proclaim college preparatory curriculum. The school counselors bridge the gap between emotional wellness and academic prowess. Troubled teens who enter a program with substance abuse issues should receive individual and group therapeutic support, especially when it comes to chemical dependency issues. 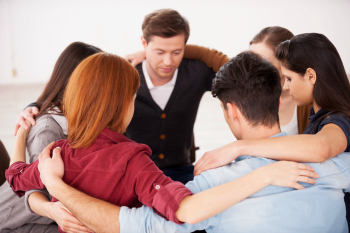 Students should attend substance abuse education sessions and work through an individualized substance abuse program with the RESTORE therapists. RESTORE recommended schools and programs typically offer parent coaching - the process of educating parents about their approach in order to empower them with new parenting skills. Additionally, we recommend programs that offer a family conference every other month throughout the year.